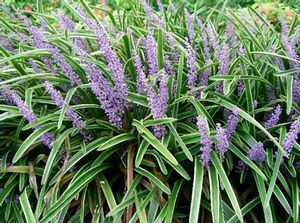 This is the truest form of big blue Liriope. Consistently uniform in texture, leaf size, height and growth habits it is the preferred lirope for landscaping projects that count. This hardy clump grower has arching, shiny green foliage 12” tall. 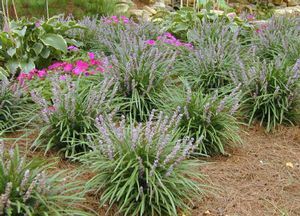 Stunning lilac blue flowers accent this beauty in the summer, followed by shiny black berries in the fall. 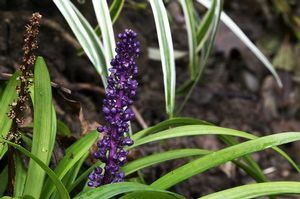 Cut back old foliage in early spring, fertilize and that’s all the maintenance needed. 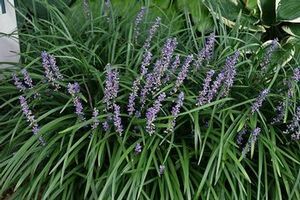 A tough plant that holds up to summer heat and humidity. If outstanding landscape results are important, Tidwell’s ‘True Blue’ is the one.